Some young girls just love art and craft projects. 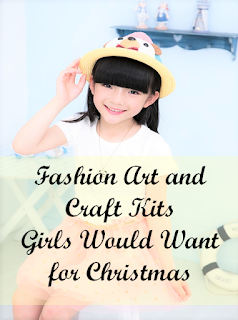 If you have daughters like mine who like making fashion accessories like bracelets and necklaces and drawing sketches of girls, they would probably like the art and craft kits mentioned in this article. Art and craft projects can give girls as young as 5 years old a fun and creative activity to do. They’re great for developing eye-hand coordination skills. They can be used as a tool to help develop social skills as well when made into a family or peer group activity. They’re perfect not just to kick away boredom during rainy days. They can liven up a girl’s birthday party or night out, too. Are you familiar with friendship bracelets? These are woven bracelets that a person gives to someone dear to symbolize friendship. The giving of these twine gifts has been a good practice for a long time. When you give a bracelet making kit to your tween daughter, you’re giving her a way to make a special handmade fashion jewelry, which she can give to her friends. Making these friendship bracelets is easy and takes only minutes. With the Alex Toys Friends 4 Ever Bracelet Making Kit, the bracelets are made from embroidery floss with rainbow colors. The kit also includes beads to add more flair to the bracelets. For weaving the bracelets, there are square and circle looms and patterns to follow. Using these tools, your girl can create several beautiful colored bracelets. This is surely a fun activity to do with friends. Some teenage girls love to make bracelets as well. There is this Alex Friend 2 Friend Friendship Bracelet Kit that is perfect for them. This kit lets them create more advanced items like bands and bracelets with beads threaded on the upper and lower ends of the floss. Little girls love to wear headbands. My daughters own several designs they wear interchangeably. There are those with big ribbons, flowers, crystals or sparkling gems. Don’t you think it’s a great idea to have a creative kit that allows girls to design their own hair wear? What they create won’t just be something to hold their hair back, but it will also be an expression of their creativity, displaying the color and style they love. 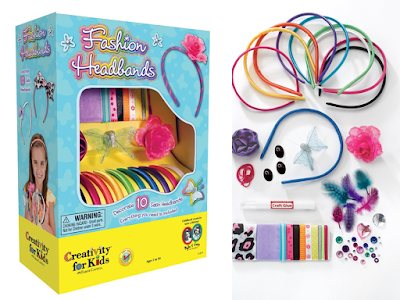 Fashion Headbands kit is a perfect gift for girls that’s under $20, kids get to explore what they like in hair accessories and they can make something that’s completely unique to them as opposed to what’s mass produced and sold to millions of kids. This kit includes satin headbands and craft items like beads, rosettes, ribbons, feather and butterfly for embellishing the headbands. Girls can choose their favorite colors and style to make at least 10 unique headbands. Here are two headband design ideas they can make using this kit. • Glue a ribbon to the headband and add a bead to make a nice bow. • Glue a rosette and add some rhinestones for glittering effect. Young girls (6+) and tweens love jewelry making. 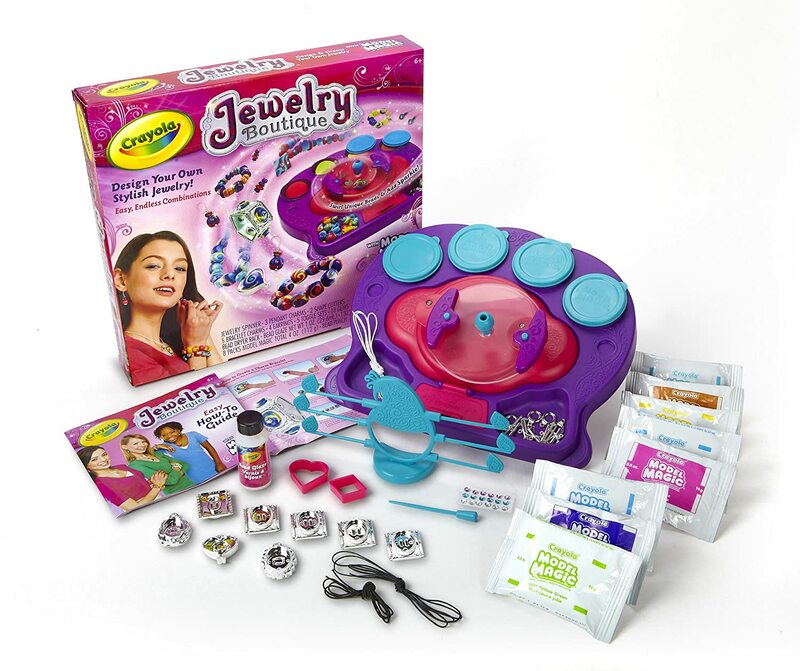 Let them enjoy their creativity and express their own style with the Crayola Model Magic Jewelry Studio. With this kit, girls will do more than just string beads together. They actually get to choose the colors that go into each bead and make them, so each one is an expression of their inner artist. How will they do it? The kit comes with modeling dough and a bead spinner. The kids use the modeling dough to create a mixture with their choice of color and texture. After making the shapes of the beads with holes for the cords or earring posts using the bead spinner, the beads are allowed to dry. When dry, the girls apply glaze on the unique beads created! Girls can make necklaces, bracelets, earrings and charms. The included materials in the kit will allow them to make more than 160 unique beads. There are charms for bracelets, gems that can be used to stick on the beads, necklace cords, cutters to make the beads into the preferred shapes, posts for earrings and the special Peacock dryer rack. Each jewelry piece that the kids will make is unique in design. To make more jewelry pieces, Crayola Model Magic Jewelry Studio refills are available. The fun of making jewelry pieces simply gets even better. 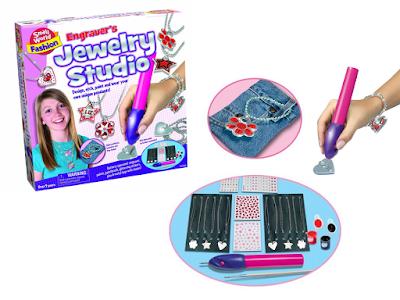 With this Engraver’s Jewelry Studio Craft Kit, girls can design and etch their own metal tags and charms. The kit includes a battery-operated engraving tool, which can be used to etch designs on the included metal tags. After etching, paint and bake the tags in the oven to preserve the design. Then, the tags can be used as charms on bracelets or pendants on necklaces. Your girl will enjoy creating 6 beautifully designed charms / necklaces which she can personally use or give as gifts to her friends. This Engraver’s Jewelry craft kit by Small World Toys Fashion is one of the 2016 Hot Holiday Toys on Amazon. As of this writing, it’s not yet in stock, but you can preorder here. 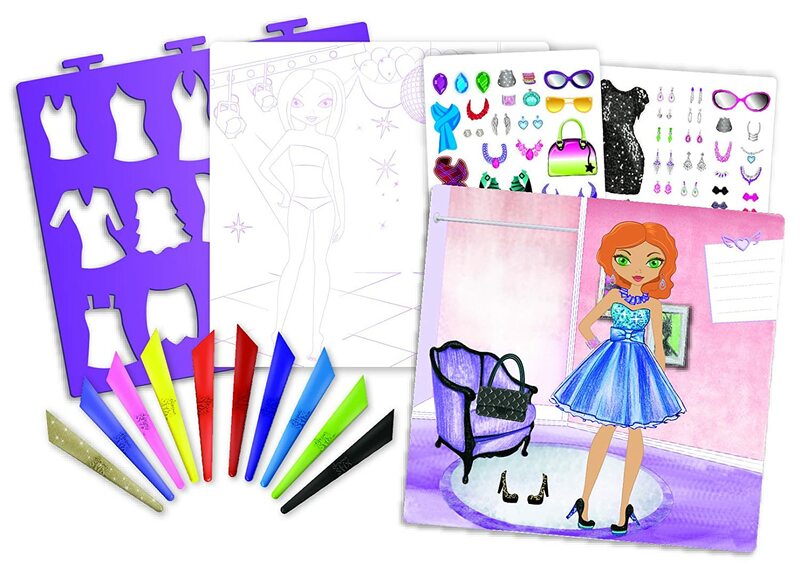 Fashion Design Sketch Portfolios let kids have fun designing cool clothes and accessories using stencils and preformatted model sketch pages. With this gift, it’s not necessary for the girls to have excellent drawing ability to start with. Even younger kids can design without worrying about outlines, since the pages allow them to sketch by tracing. It’s a simple and fun activity for the budding fashion artist. Once the kids are done with designing and coloring/shading the outfits, they can add stickers included in some kits to make the designs even more fabulous. The stencils are designed to be used over and over again. So the fun of sketching and designing will not stop when the sketch pages are all filled. Just buy another sketch pad and let her enjoy more hours of fun and sketching. 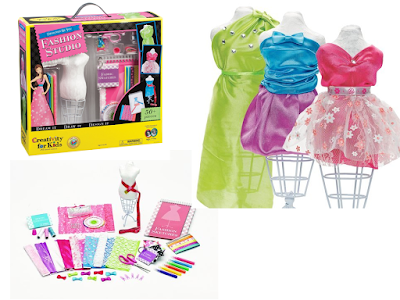 Take the fashion sketching and designing to the next level by giving your girl her very own Fashion Studio. 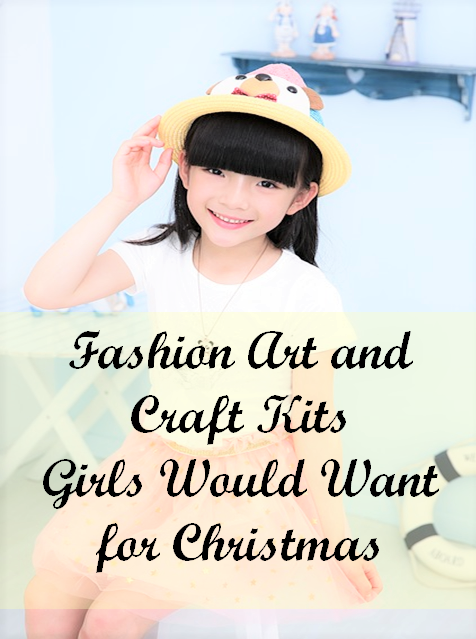 With this Designed By You Fashion Studio kit made by Creativity for Kids, she can actually create the clothes she originally designed and get them ready for the runway. This fashion studio kit includes a mannequin, sewing essentials, sketch book, fabric, trims and embellishments and a fashion design manual. This is an appropriate gift for girls aged 10 and up. Younger girls can enjoy this gift also but with help from grown-ups. It’s a great way to teach young girls how to sew.